No other crop has continued to inflict as much distress to growers as sugarcane, exposing New Delhi to withering criticism for its failure to lay down a policy which will underline adequate rewards for around 50 million families engaged in cane cultivation through cycles of boom and bust in sugar prices. At the end of December 2018, sugar factories owed farmers ₹19,000 crore, a sharp rise of ₹8,400 crore from corresponding point in the previous year. Such big factory defaults negate the concept of sugarcane being a cash crop. This, however, would not have been the case had India emulating the example of Brazil created condition for rapid development of capacity for production of ethanol from molasses as also directly from cane juice. Drawing lessons from the 1973-74 oil crisis triggered by the Yom Kippur war when an Arab oil embargo was targeted at countries supporting Israel and then again during the energy crisis in 1979 caused by Iranian revolution, the Brazilian sugar industry receiving support from the government in every possible way started building cane juice based ethanol capacity at a rapid pace. The move has helped the Brazilian economy and cane farmers in significant ways. 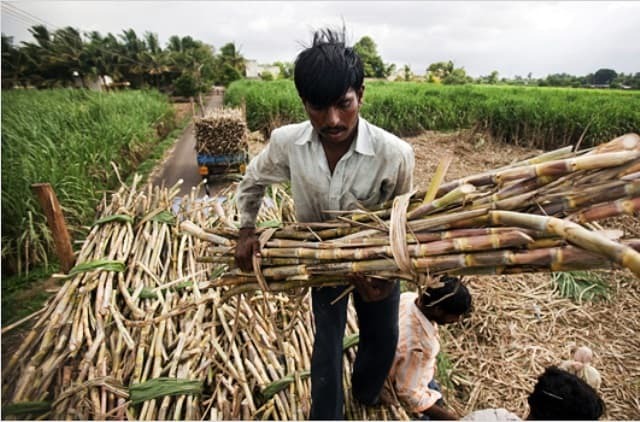 Depending on the size of sugarcane crop in a year, factories will decide how much of that will be apportioned between production of sugar and ethanol. Irrespective of fossil fuel prices, biofuel ethanol is meeting with growing demand both within and outside Brazil for its very limited carbon footprint. Incidentally, Brazil is the world’s largest producer of sugarcane, sugar and cane based biofuel. While Brazil accounts for 20 per cent of world sugar production, it has half the share of global seaborne trade in the commodity. The current sugar season is an outstanding example of how deftly Brazil manipulates sugarcane allocation in pursuit of the twin objectives of reducing pressure of excess global sugar supply depressing sweetener prices and seizing any opportunity that high oil prices offer to boost ethanol production. Brazilian sugar output during 20018-19 is down 8.3m tonnes to 30.6m tonnes. This happened as crushing factories there allocated as much as 64 per cent of the country’s cane crop to make the biofuel. Remember oil prices remained high for most of 2018. 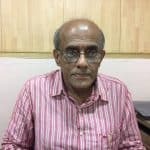 A former president of Indian Sugar Mills Association Om Prakash Dhanuka says: “Unless Brazil had consciously capped sugar production by committing such a high percentage of the crop for ethanol production, raw sugar prices that sunk to 10.1 cents a pound on August 10, 2018, the lowest since June 10, 2008 could have fallen further. That would have put a spanner to the Indian ambition to export 5m tonnes of sugar in the current season.” This is the target given by New Delhi under the minimum indicative export quota (MIEQ) and equitably distributed among all operating sugar factories. Even while raw sugar prices on US Exchange ICE futures have improved to over 13 cents a pound, Indian sugar exports will at the most be 3.5m tonnes unless of course the government risking violation of WTO rules offers incentives beyond internal transport subsidy. The fact will not be denied that India has started travelling the Brazilian road not a day too early and in the process not able to take advantage of import substitution of oil, whatever the size all these years. Moreover, as ethanol production so far has let its doping with petrol for only 5 per cent, sugar production has remained much in excess of demand and ideal end of season stocks. The victims of the skewed production and the resultant mismatch between demand and supply are the 50m odd grower families and crushing factories, most of whose balance sheets are dipped in red. Let’s look at the Indian sugar industry’s 2017-18 figures. Production during the past season was a record 32.5m tonnes which was embellished by season’s opening stocks of nearly 4m tonnes. Against this kind of supply, the domestic demand was 25.4m tonnes. Exports were less than half a million tonnes. As a result, the current season started in October 2018 with stocks close to 11m tonnes stretching the finances of sugar producers. A situation that spelt miseries for farmers, including some of them committing suicide unable to pay off their loans could have been avoided if instead of using the entire bumper supply of sugarcane, the industry was equipped to use a good portion of the crop to make ethanol from juice. Whatever ethanol was made in India till last year was entirely derived from sugar by-product molasses. This certainly is not the most efficient way to extract the biofuel. The Indian practice stands in sharp contrast to Brazil where ethanol is extracted straight from sugarcane and in very large quantities. Brazil is the world’s fourth largest consumer of transportation fuel where last year because of high gasoline prices domestic sales of ethanol jumped by some 40 per cent. Now the Brazilian government has launched a new programme called RenovaBio which is to see the market for ethanol rise to 47.1bn litres in 2018 from 26.7bn litres in 2018. Encouraged by this policy move, leading sugar groups in that country such as Biosev and Usina Coruripe are committing major investments in boosting ethanol capacity by installing new distillation columns. Though not a day too soon, New Delhi has seen merit in ISMA suggestion that ethanol gasoline mix ratio should rise to 20:80. To make this happen, the government has agreed derivation of the biofuel from B molasses where unlike in C molasses some amount of sugar is left and also from 100 per cent sugarcane juice. Unable to find a solution to the recurring sugar crisis that fuels rural unrest, the government has asked the oil marketing companies to procure ethanol that will allow 10 per cent blending of biofuel with gasoline this year. But car engines will need tweaking if these are to be run with fuel that comes in ethanol gasoline blend of 20:80 or more. Unfortunately, car manufacturers here are not to oblige unless the government puts pressure on them. In contrast, in Brazil you have flex-fuel cars which run on in any gasoline-ethanol blend and also on pure ethanol. That should become the model for the Indian automobile industry. It is not only India that is in the process of copying the Brazilian model of deriving ethanol from sugarcane. Major sugar exporting countries Thailand and Australia too have found in making ethanol a way to limit the supply of the sweetener in a bearish market. Being a commodity required by the masses and therefore, considered sensitive, the world should ideally have a good inventory of sugar for the world to tide over one or two bad production years. But why should the world be carrying stocks of nearly 50m tonnes for two years in a row since 2017-18 that will only keep sugar prices low hurting the industry and cane growers? Instead, the major cane and sugar beet growing countries should be judicious enough to decide ahead of a season start an efficient allocation of sugarcane and beet for production of sugar and ethanol.